The waxing-to-Full Moon enters the sign of Libra bright and early on April Fools' Day and rises in all its' glory the following evening. This once-a-year lunation sets a theatrical stage for emotional drama and learning in relationships. Hear yourself and others out, and allow space to feel the gamut of emotions, from light to dark. From the 11th onwards Venus plays the field in non-committal Gemini and fresh delights and discovery become the order of the day. 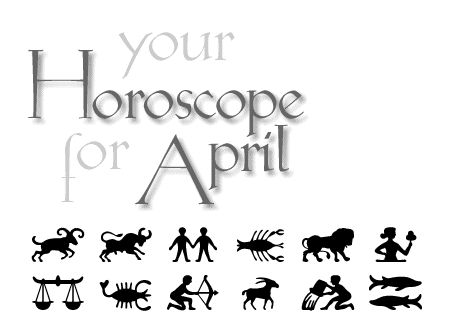 Libra horoscope the month of April 2007. By Tofino astrologer Karedwyn Bird for Tofino Time Magazine.